Make commuting to campus smarter, faster, more convenient and easier on the environment. RideAmigos empowers universities, colleges, and K-12 schools to help their community members make better use of smarter transportation modes. Our industry-leading tools and programs provide the resources and motivation to skip the solo drive and try more efficient, sustainable alternatives. Find out how RideAmigos can help your school save money, reduce emissions, and expand its range of supported mobility options. Providing user-friendly, low-cost campus mobility options can be challenging for colleges and universities, particularly in larger urban centers. 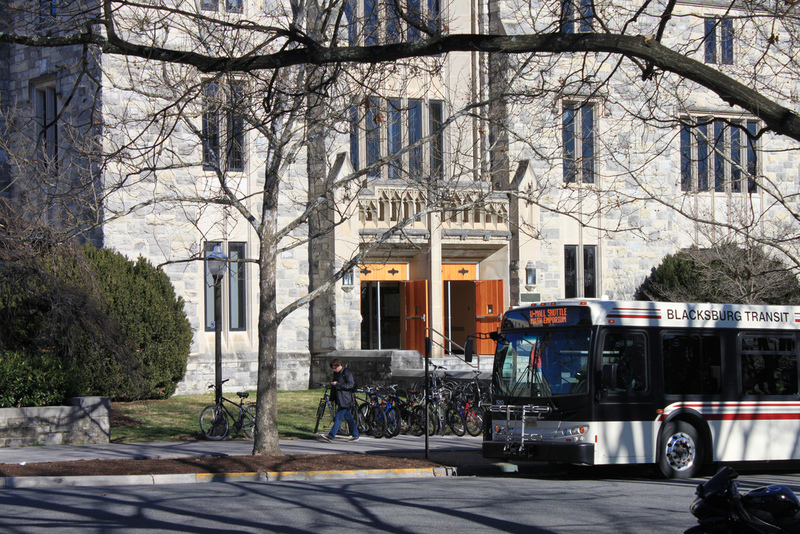 Administrators need to balance student access to affordable, reliable transportation with the need to manage traffic and reduce demand for on-campus parking. This is where the groundbreaking RideAmigos platform can help. Turn-by-turn, step-by-step directions make it easy for students to find the fastest and safest walking and biking routes to and from campus. Local bikeshare locations are displayed to help users think creatively about their options. Connect in real time to municipal and regional transit networks. Trip planners, schedules, and up-to-the-minute service information are all covered. Any transit, bus, or shuttle services that use industry-standard GTFS feeds can be displayed on the trip planning map. Staff and students can make instant arrangements to participate in local carpooling and university ridesharing networks. Avoid congested commuter corridors, find the most convenient parking options, and reduce idle time and emissions. Easy Options + Premium Rewards = Success! Students can instantly compare travel times and costs while factoring in the health perks and environmental impacts of each option. In addition, educational institutions can offer additional incentives for ongoing use of preferred commute mods using our advanced commuter rewards platform. Administrators will also benefit from comprehensive user management and reporting tools. These tools help budget managers and decision-makers implement the solutions that best meet the needs of their campus communities. The inclusive nature of our commuter engagement platform also ensures that staff and students with special needs have complete access to a full range of university transportation options. Want to compare different transportation methods in one place? RideAmigos can help users easily identify all available campus mobility options. Create challenges between teams or networks and give prizes to top performers. Make use of our extensive reward features to maintain ongoing engagement. Hosting a university or student organization event on campus? Create events using RideAmigos so others can find transportation options quickly and easily. Type your addresses and hit search without logging in. No more additional clicks to scare you away. You only log in when it’s time to sign up for your carpool. Colleges and universities can use RideAmigos reporting tools to generate insights into the behaviors end users. This allows educational institutions to implement the most efficient and cost-effective solutions to transportation issues. We’ve already helped many of municipalities, corporations, and educational institutions enact major improvements in the ways people move. Campus mobility is changing in the 21st century, and we’re helping lead the charge to more sustainable, more efficient, and more affordable solutions. 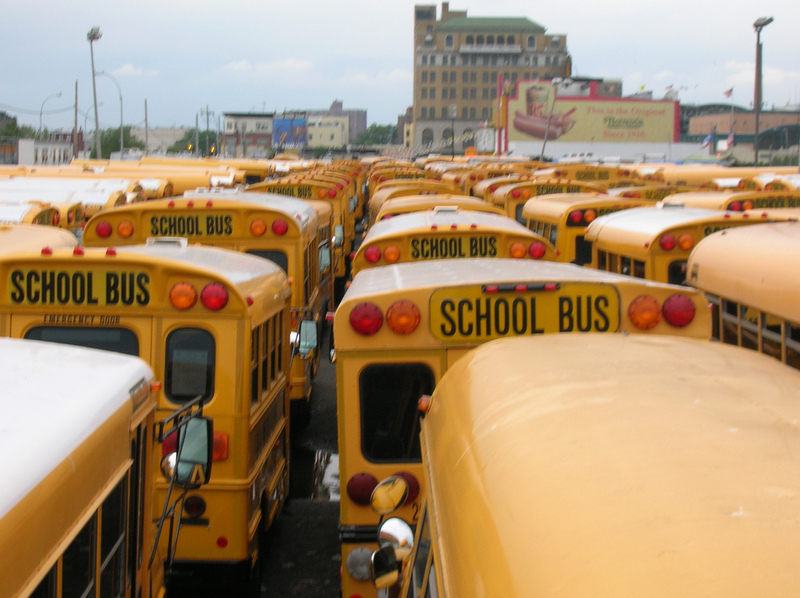 Big yellow buses have long been the hallmark of school transportation. Yet, in today’s age of soaring costs and shrinking budgets, school administrators have to be creative in their search for savings. At RideAmigos, we’ve responded by developing a set of innovative commuter engagement tools for K-12 schools. The concept of the schoolpool is at the center of our solutions. Use it to meet student transportation needs while keeping costs to an absolute minimum. Schoolpools are carpools parents use to help get their students to and from school as efficiently as possible. Our goal is to connect students who need rides with parents who offer them, and our program has already proven to be a great success. Adopted by the Denver Regional Council of Governments, our schoolpool tools helped consolidate student transportation needs at a long list of charter schools in the area. Within a year, we linked 16,000 families and children at more than 125 schools with personalized matches to schoolpool ride-sharing programs. Our easy-to-use tools also led to the formation of over 6,000 new schoolpools. These communities have an average size of 2.6 families, and operate 4.4 days per week over an average distance of 7.8 miles. RideAmigos school transportation software helps K-12 schools save money, improve safety and foster a stronger sense of community. Schools that adopt schoolpool programs save much-needed money for essential programs that lead to a better education. That’s the biggest and most obvious benefit of our platform, but we also improve safety and help schools build stronger communities. Schoolpools help parents connect and build friendships with one another, all while giving students a great platform for socializing outside the classroom. They also deliver a safe alternative to walking long distances to and from school, easing worries for working parents who aren’t able to pick their children up in person every day. Our quick setup guide and unparalleled customer service allows for a simple transition to our mobile app. The RideAmigos Academy allows us to learn and grow together. Join our community, where you can share with your peers on best marketing strategies, engagement tips, and more.